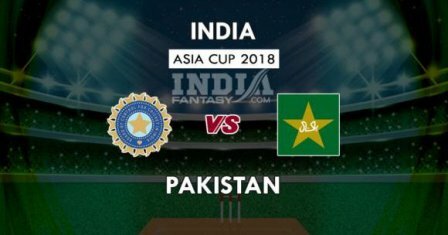 DUBAI: On the eve of the marquee clash against India, Pakistan skipper Sarfraz Ahmed on Tuesday acknowledged the pressure of the high-octane match but maintained that as players the approach to every game remained the same. "There's always pressure in India-Pakistan games. We've told our players, not just this game, consider every match as an India-Pakistan game if you want to win the event. There's pressure, but we're trying to not let it affect us, and perform well," Sarfraz said in the pre-match presser. "As players, we take India-Pakistan match very normally, but when the match comes up, the sort of hype that's created - TV channels discuss it, there are small programmes on social media so the hype has an impact. "But the players are told that whenever there's an India-Pakistan match, you will try and play like you play any other game." he added. Sarfraz also dismissed the cliches surrounding the battle between Indian batting and Pakistan's bowling, saying he hoped it to be a good contest. "A lot of people say this game is between Pakistan's bowling and India's batting. But I don't believe that." "If you see the past season, our batting is doing well, and bowling is also doing well. I feel it'll be a good contest and I am hoping we put on a good show," he said. On being asked if he expected another contest on the lines of last year's ICC Champions Trophy final in England, which his side won handsomely, the Pakistan stumper preferred to start afresh. "It was a time in the past and it is gone now. It was obviously a memorable match for us and that will remain in our minds forever," he said. "The players who were part of that game will remember it throughout their careers. But it is a new event now, new atmosphere, the conditions are completely different. So we'll try to ensure that the momentum that we've got from the first game, we'll take it forward," he added. Dakshin at Crowne Plaza Chennai Adyar Park turns 30!